With a first career chapter nothing short of remarkable, DJ Seinfeld has quickly established himself as one of the scene’s most diverse and interesting figures. 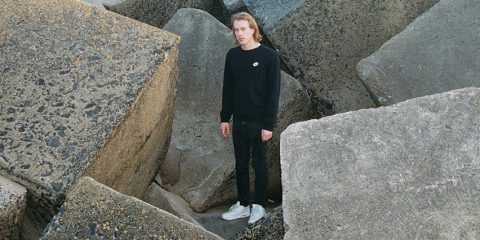 Having already released under aliases Rimbaudian (Emotive House) and Birds of Sweden (Drum & Bass), it was the 2017 introduction of the Seinfeld moniker, with underground hit single ‘U’, that catapulted the soft spoken Swedish artist to international acclaim. 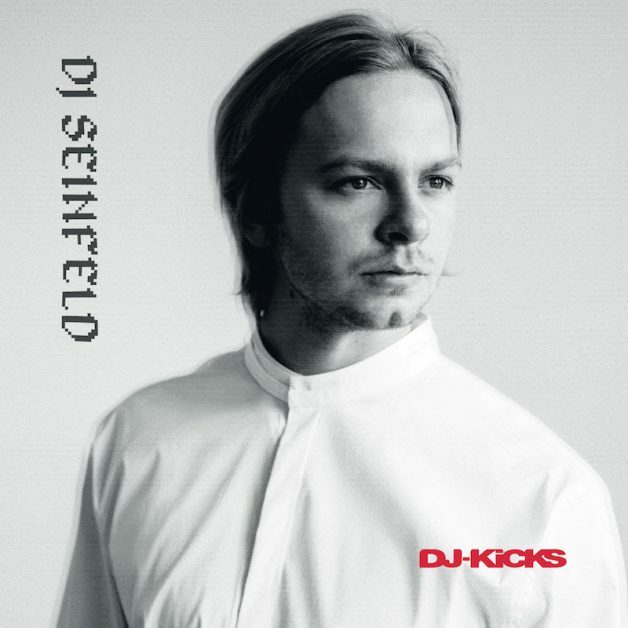 By presenting music rooted in nostalgia, colored by dusty and analogue house grooves, DJ Seinfeld has now found praise coming from all corners of the music and media sphere. 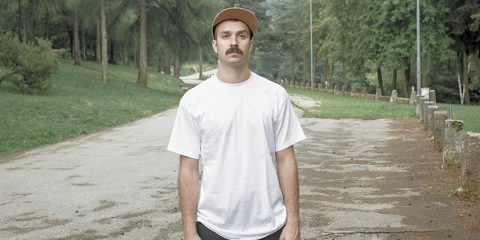 Since ‘U’ (which appeared on 2017’s “Time Spent Away From U” via Lobster Fury), DJ Seinfeld admits a period of great personal and artistic change, resulting into further foray into jungle, breaks and electro drizzled with rough edged house, while continuing to serve his electrifying DJ sets around the world. 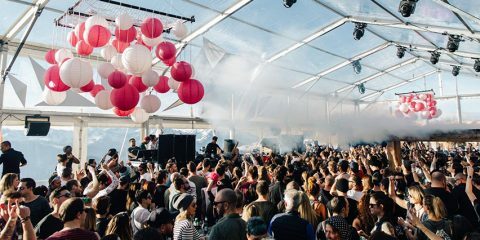 With this approach, it seems only fitting that !K7‘s long running DJ-Kicks series came calling and with it, he joins the likes of Moodymann, Nina Kravitz and DJ Koze on the iconic series. With the narrative heavy mix available now, we managed to chat with Armand Jacokbsson aka DJ Seinfeld for a personal conversation on the nature of change, his rise to fame, and all things DJ-Kicks. We’re speaking here around your new DJ-Kicks mix. In reading through its resources, the project is described as being the result of a period of change for you. Can you speak a little on this period? 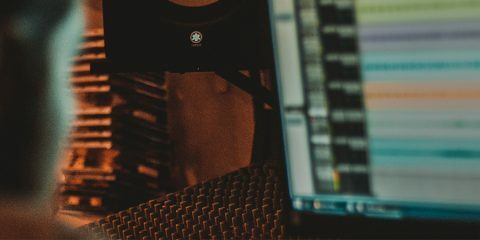 What would you say was the biggest change you experienced was while working on the mix? It was a two fold change, one in my personal life and one musically. I am still relatively new to the industry but have been playing out a lot. 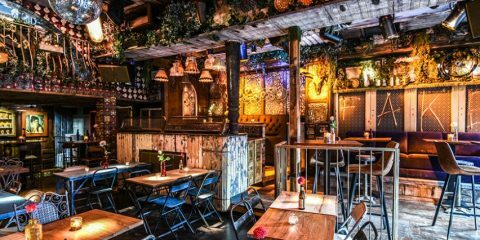 I’ve experienced clubbing in different ways and I think people have a certain sound attached to their expectations when they go see me play, this lo fi House, sad, emotional music, which is not really what I play. Ever since I was making my first album, I haven’t made many tracks along the same vibe. That was a profound emotional time for me so getting out of it meant my relationship with music, and how I was doing things before, was changing as well. It was never important to have a “sound”, per se. I applaud people who can make music in different genres and somehow you still know it’s them but, for me, I make so many different styles of music that I see no point to “find the sound”. I know what I like and I know what I don’t so my productions will be the result of that. I’ve been talking to people a lot in my personal life on the idea of change and where they fall into the spectrum of accepting it. Some very much look for it, let alone accept it, yet others seem to get paralysed by the thought of it. Where would you say you fall on this spectrum? I’m well aware of the things that are changing. Maybe not the specifics of what they are but more the feeling of day to day life. It’s not very conspicuous at all times and a lot happens behind the scenes, which can be anything from technological revolutions to the socio-political climate. For me, I have had changes in my personal life as well. Some things have happened and right now I feel like I am just trying to get back to something familiar and familial. I don’t reject change but when things get too crazy to fathom I think it’s always helpful to go back to the bubble you feel comfortable with. For you, though, I guess this plays into why you moved back to Sweden from Barcelona? Yes. I moved back because my dad had a stroke in January but I had been planning to move back for a while. The reason I was planning on coming home before this happened was because I felt detached. When you are on the road so often you don’t have much real time and experience with your closest family and friends. It’s a very transient life and a part of that got to me at some point. Going from two weeks in Australia and Asia to coming back home and realizing I barely cleaned before leaving, and some of these quintessentially not-ready-for-adulthood things, made me figure I should find some stability again. Do you have any kind of process you do to maintain mindfulness while on the road? To be honest, I still haven’t found one. I still feel as though I am in a shock phase that I am actually getting to do this. I do try and experience the places I travel though. It brings context to the actual job, which is DJing. I try and make something I can relive in memories later on. The most tiring jobs are those where you just go from the airport to the hotel to the club, back to the hotel and then back to the airport. It becomes a very mechanized lifestyle. In the last year or two, what places, cities or cultures have left a particularly positive impression on you? I was in Japan for two days and there was something very exciting to me there. I was in Tokyo and it felt like a different world. I like New York and Australia as well, but going there as a European doesn’t provide as big a cultural contrast. There are still some nuances I find interesting there but they still feel European. I would love to have two months or so to spend in New York and get a real feel of the city and what life is like there. I tell everyone that if they get a chance to go to New York for a while they should just do it. You will learn a lot about the city but you will also be forced to learn a lot about yourself. Moving on to DJ-Kicks, how did your initial relationship with !K7 form? I might be wrong about this but I remember getting a call from my manager who asked me if I’d be up for doing a DJ-Kicks edition. He went on to say there was an opportunity but there was a short timeline. We went back and forth a few days as, with such an opportunity, you want to do it as best you can. I was in this state of flux and didn’t have much time to do it but, in the end, I felt it was a good time. How did you see the creative/collaborative environment with the label? They were very helpful. I think they took a slight risk by even allowing me to do it. If you look back at the history of DJ-Kicks there have been various superstars who have done it. I think the new generation, which is most of my fanbase, don’t really buy CDs anymore and DJ-Kicks is an important player within that space. I think they wanted to expand their fanbase a bit also. We had a lot of conversations, creatively, about how we plan and execute the mix but they were mostly up to my manager. I just wanted complete freedom over the music, which I did have given certain restrictions when it comes to licenses. I would say it all was quite a smooth affair. That would have been my next question, what was the most difficult aspect of putting the mix together. When I ask others, 9 out of 10 times the answer is licensing. If your team was mostly involved in that side of things, what would you then say was the most challenging part? I couldn’t use some music for a variety of reasons and it got to the point where, if I lost one or two tracks essential to my idea, I would have to go back an re think the entire thing. The problems that arose for us were very universal and based in the details though. Nothing major at all, just managers being managers and labels being labels. Can you give some insight into the tracks featured on the LP? Maybe for someone who may not be familiar with this process, what criteria was set for the tracks featured on the vinyl release? It is quite hard to put into words. There was no major distinction in my mind. I didn’t think about the vinyl until very late. In my mind, my thoughts always surrounded the mix itself. Once that was done I was a bit tiered so the tracks featured on the vinyl were mostly a result of gut feeling. I don’t consider those tracks “better” than the one’s that didn’t feature on the vinyl. It was just something I felt suited the traditional vinyl LP format more. What are some of your favorite past DJ-Kicks editions? I really liked the Actress one. It was something that really touched me. Finally, moving through the end of the year and into 2019. Are there any places, events, festivals, or personal activities you are particularly looking forward to? I’m going back to Australia and America. There are a lot of cool places here in Europe as well, like Into the Valley. Early next year there is a chance I will be going to India for the first time, which I am very excited for. I try not to think too far ahead as I’d rather live in the moment for a bit but I know there is a lot of exciting things in store.